Get Out Get Active (GOGA) is an exciting new three year programme with delivery partners based across eighteen localities UK wide, supporting disabled and non-disabled people to enjoy being active together. The £4.5 million investment funded by Spirit of 2012, focuses on getting some of the UK's least active people moving more through fun and inclusive activities. We aim to increase the number of people who are able to access and enjoy local opportunities through local authority or independent provision, sports clubs or perhaps volunteering. We want to motivate people by tapping into their values and the things that matter most to them. This includes building friendships, maintaining health, having fun and progressing in life. By doing this, we can actively help to build stronger, healthier and more unified communities. 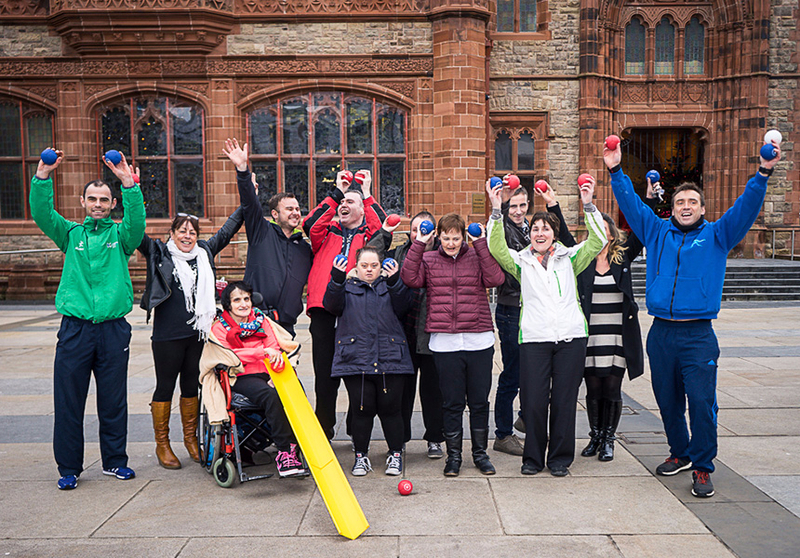 There are three other charities who will be supporting Live Active NI in the delivery of the GOGA programme in Northern Ireland, Age NI, Disability Action and Volunteer Now. The Get Out Get Active project currently operates in the following 2 locations.